Big Basin Vineyards is a family owned and operated winery. Founder Bradley Brown is Winemaker and Proprietor (and Vineyard Manager), while his sister Wendy Brown is co-owner and provides business management expertise. Blake Yarger is Bradley’s right hand man in the winery as Assistant Winemaker. Dushan Jefferson runs the Saratoga tasting room and manages our wine club and mailing list. Doug Spilman runs the winery tasting room and helps maintain the pristine quality of our estate fruit. Audrey Snyder manages the financial books. Bradley’s interest in wine was initially inspired by his father, Glenn, who was an avid home winemaker and lover of German wines. His interest grew exponentially after he reached legal drinking age and was further fueled by a Francophile brother who spent seven years in Paris and the Rhone Valley culminating in a harvest working for Emanual Raynaud at Chateau Rayas. 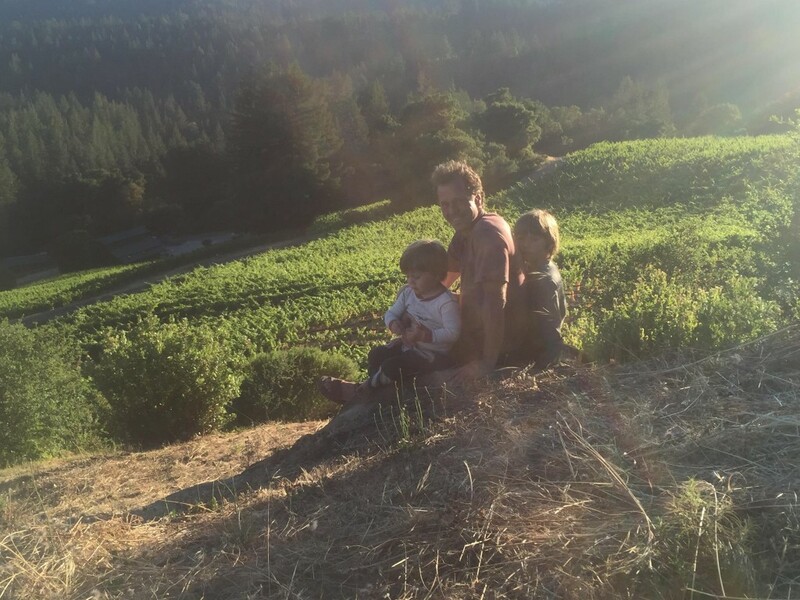 Upon moving to California after college, Bradley quickly made friends with local winemakers and took advantage of opportunities to taste wines and participate in the winemaking process. When it came time for a career change that would be compatible with his passions in life, grape growing and winemaking were the obvious choices. He was introduced to Rhone Ranger John Alban who agreed to consult for Bradley. First came the planting of the Rattlesnake Rock Estate vineyard in 2000 followed by his foray into winemaking with the first vintage in 2002. Bradley built a winery in 2003 using redwoods sustainably harvested from the Estate and has grown the portfolio from one wine to over sixteen wines including five different single vineyard Pinot noirs. Being a farmer himself he understands the importance of vineyard site and viticultural practices and has made it his mission to seek out the very best sites throughout the Santa Cruz and Gabilan Mountains. He committed to organic farming as a way to improve the expression of site and had the entire Estate vineyard Certified Organic by CCOF. Passionately driven to produce authentic and compelling wines, Bradley has continued to evolve his minimal intervention winemaking with the use of more whole clusters and less new Oak. Recently, Big Basin Vineyards was selected to join 32 of California’s top Pinot Noir and Chardonnay producers to be represented at In Pursuit of Balance – one of the only wine tasting organizations in the US today that carefully selects it’s members through juried blind tastings by respected professionals. In Pursuit of Balance seeks to promote dialogue around the meaning and relevance of balance in California pinot noir and chardonnay. Bradley is presently serving on the Board of Directors for the Santa Cruz Mountain Winegrowers Association. He lives on the property with his two young sons, Kiran and Lakota, both of whom love grapes and tractors. Blake is the newest member of the Big Basin Team. He brings 10 years of winemaking experience, most recently as Winemaker, with a family-owned, boutique winery in Sonoma — McEvoy Ranch. Blake produced beautiful terroir-driven Pinot Noir and Syrah at McEvoy making the move to Big Basin a perfect fit. Like so many in our small team, he is capable of wearing many hats including sales, marketing and blogging! 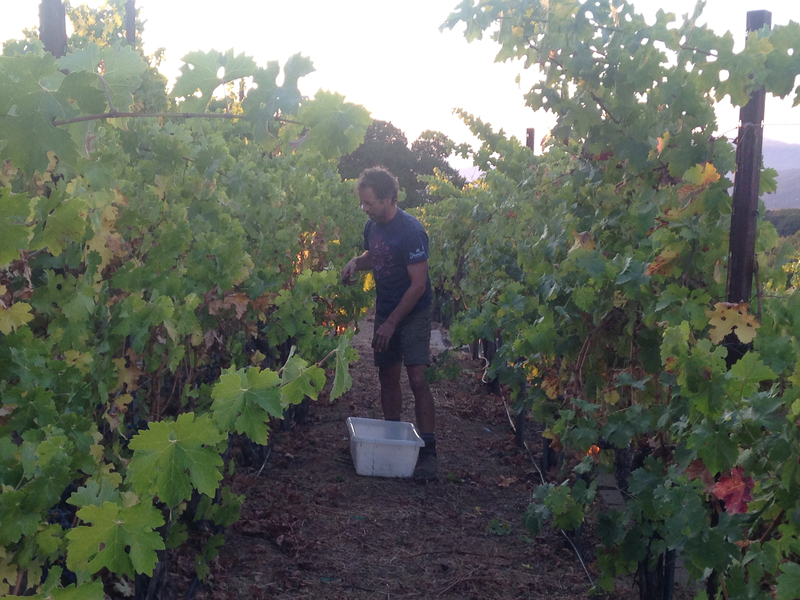 In addition, he has studied agroecology, horticulture, viticulture and winemaking, including a stint in Santa Cruz. Blake is the one you will find late at night in the winery doing punch downs with a smile on his face as the fermentations move along. If he’s not winemaking or walking the vineyard, he’s probably riding his bike in the hills or hiking in the backwoods. Doug has lived adjacent to the Big Basin estate since 1980 (long before Bradley acquired it), where he raised two children, many dogs and cats, two parrots and six Arabian endurance horses. Doug started working with Big Basin by supplying manure for our organic vineyard. He next joined the Landini Cavalry & Rodeo, assuming Big Basin’s Italian-made tractor duties and most recently took on responsibility for the tasting room and event business at the winery. Doug’s varied life experiences as architect, construction director, property services director, house builder, and lumberman make him the go-to-guy for what doesn’t seem to fall to anyone else — be it the winery cooling system, parking/patio expansions or equipment maintenance. Sharing his short walks to and from work with the red tail hawks that watch over the vineyard is a quality of life plus. Sharing his life long love of wine and the Big Basin story with customers is, well, the icing on the cake! Audrey grew up near Lyon, France between the best Pinot Noir and Syrah corridors, so it seems like fate that she ended up at Big Basin. She assures us that she didn’t have wine in her baby bottle, but the French do promote the love of food and wine at an early age. She followed some ski bums to the US and kept on moving farther west spending time in Colorado and Utah before landing in California. She has owned and run a restaurant, and paints, plasters and designs for whoever needs her services. In her current job, she not only keeps the books and writes the checks, she is our de facto HR manager. And yes, she’s family (Bradley’s quasi sister-in-law) and lives on the Big Basin Estate Viognier property! Bradley’s sister, Wendy, joined the Big Basin team in 2005 as co-owner. Her experience in management consulting (A.T. Kearney), direct marketing/general management (American Express), and electronic commerce (America Online) comes in handy for budgeting and business planning. Wendy lives in Hamburg, Germany but may be found in the vineyard, the winery, or the tasting rooms on her frequent visits. A lover of German Rieslings, she is hoping Big Basin makes another Riesling, which apparently found wide acclaim amongst her german tasting crowd. Bradley’s niece, Lissa (we said this is a family business! ), provides web design and content management support. Lissa has grown up with wine in her glass and spent many a vacation at Big Basin learning the basics of harvest and winemaking from her uncle, earning her “Certificates” for which she was extremely proud. Currently a student at the International School in Hamburg, Germany, Lissa now remotely supports the team’s online presence, that is, when she hasn’t been successful at scoring another vacation to the Santa Cruz Mountains.